Having worked with start-up companies in the valley for most of the past 14 years, I’ve had the distinct privilege of working with some unbelievably talented entrepreneurs. Many of them have served as great mentors and sources of inspiration. Nearly 10 years ago, I visited a fledgling start-up that had just secured their first institutional round of funding from oh, an obscure little firm on Sand Hill Road (a firm whose name is synonymous with a redwood tree). The company was looking for equipment financing to finance servers they were purchasing. Quite honestly, I was skeptical about the company’s prospects of success at the time. Regardless, I marveled at the focus and passion of the founding team. 8.5 years after that first meeting, the company held a successful IPO and started trading under the ticker symbol of LNKD. Although I had ZERO to do with the company’s success (if I hadn’t done the loan, somebody else would have), I felt a sweeping sense of fulfillment having first hand witnessed the evolution of a small, scrappy start-up into a wildly successful, yet still scrappy company. We’re currently in a golden age of entrepreneurship. Revolutionary computing technologies have enabled the existence of the lean startup. In turn, we’ve seen thousands of great companies get ushered in; Companies that might never have been formed due to funding constraints 10 years ago. Areas such as New York, Seattle, and Los Angeles have joined Silicon Valley as entrepreneurial hotbeds. While all this entrepreneurial activity is decidedly terrific, competition is at all time high – not just for customers, mind share, and partners, but for equity dollars (see my blog on the Series A crunch). 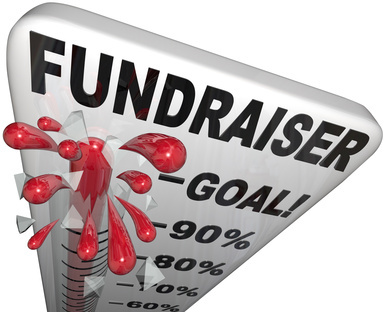 One area that often gets overlooked relates to being strategic about fundraising. Many entrepreneurs simply view outside capital as the necessary jet fuel to propel their companies to unprecedented heights with the simple formula of raising as much as possible while suffering the least amount of dilution. We all know that starting a company is inherently risky. A hundred things can and probably will go wrong at some point despite the entrepreneur’s best efforts to be strategic about areas such as product fit, product development, and customer acquisition. Fundraising decisions should be done in a way that aim to mitigate the probability and effects of missteps, not the increase the risk of what happens when a slip occurs. A good example of this is the entrepreneur who takes money at irrationally high valuations, only to be burdened with unrealistic expectations. As such, more than ever before, a company’s financing decisions early on play a critical role as to whether a company’s succeeds…or fails. The unfortunate byproduct of bad financial foundations are companies that fail prematurely, never giving themselves the chance to be the next LinkedIn or Workday. Alright, all else being equal, what situation seems better for the Company? Of course Company A has the more entrepreneur friendly deal. • Cash from Equity Round and Venture Debt allowed company to step on gas pedal to accelerate operations. Cash burn grew to $500,000/month. • Company traction was ok, but not all milestones were hit. • Series B fundraising, 12 months after “great” Series A. Personality and philosophical disputes arose at the BOD level. The 2 investors on the BOD did not see eye to eye and one of them was investing out of a fund that had little reserves for follow on investment. Series A syndicate was effectively broken given factors above. Series B investors were tough to find given lack of performance (vs. expectations), debt load, signaling from Series A investors, and market despite strong technology. End Result: The Series A investors refused to further invest w/o an outside lead. Unable to find one, company ended up getting sold for $6.2MM. $2MM went to Bank, $4.05MM went to investors. After final expenses, founders and employees were left with <$100K! • Cash from Equity Round provided the company with 18 months of cash. Series B investors were difficult to find given macro-environment, but Series A investor, who had plenty of dry powder, provided the company with a bridge loan to the Series B. Series A investor ultimately brought in a preferred VC partner to lead a $10MM Series B 4 months later at a $22MM Pre-Money valuation. Company raised $3MM In Venture Debt after Series B round. End Result: The Company is still in operations and recently raised additional capital at a $60MM pre-money valuation. Large acquisition offers have been rejected as company believes a bigger opportunity is up ahead. Am I implying that taking a lower valuation and less money is optimal? No, of course not. I just want to illustrate the important of thinking through all angles before making a decision. At FRB, we’re working our hardest to help companies set the right foundations for their businesses early on and recently launched a FRB tech university workshop series to assist seed stage companies with this. Again, starting a company is risky – fundraising should increase the probability of success, not add unnecessary future risk. I’ll detail the University in more detail later, but in our most recent session, we were able to enlist the help of great industry leaders such as Floodgate Capital, Orrick LLP, TriplePoint Capital, CapRally, and Early Growth Financial Services. – Fundraising is sequential. What happens in one round will affect the next round, and the round after that. Bloated valuations come with unbelievably high expectations. No problem if truly warranted, but it’s foolish to glaze over the unintended consequences down the line if things don’t fall just the right way, both internally and externally. – Don’t optimize on any one variable (i.e. valuation/cash offered). Consider the entire picture, most importantly the quality of your funding team. Ann Miura-Ko at Floodgate told us she uses an Oceans 11 approach when bringing in co-investors, where every party in a funding round has a particular and unique skill that they can bring to the table. I love that analogy as it perfectly describes the importance of having a well-rounded advisory group. – Fundraising is about patience and persistence. Don’t give up if you truly believe in your idea. Remember Pandora? They had over 250 doors slammed in their faces before raising. – Find a good partner whose interests are truly aligned with yours. You can tell a lot about a VC firm’s motivation simply by looking at its fund size. – Debt can be a valuable tool, but only when you’ve de-risked the business. It’s not equity, so tread carefully when taking it on. And like equity, who you partner with is often more important than the terms you receive. There are plenty of other things to consider, which I’ll detail at a later date. Point is, forming a strong financial foundation early on is imperative to building a successful company.